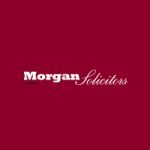 Morgan and Company Solicitors seek to combine the traditional values expected of a local family run firm of solicitors whilst, at the same time, offering innovative legal solutions. We found William Morgan and all other people we dealt with to be very helpful, understanding and knowledgeable. A huge help in buying our first home! for providing a professional and friendly service during a stressful time. I had a long drawn out divorce with many difficulties regarding financial matters. This was dealt with at all times with professionalism and consideration by both Daniel Williams and Tracy, giving me confidence to continue which resulted in gaining a satisfactory outcome.